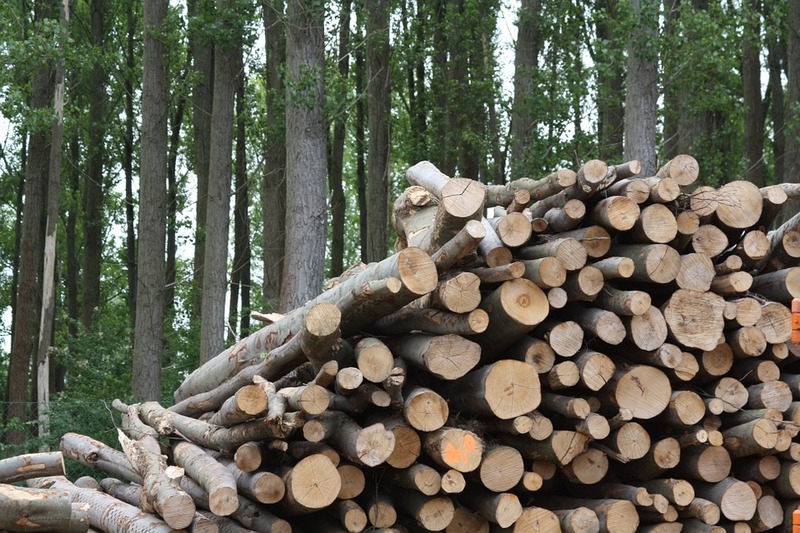 Despite the ruling, using biomass for energy remains a contentious issue. Scientists and various non-governmental organizations have raised concerns that forests clear-cut for fuel may not regrow as planned. Due to the amount of time required for trees to grow there is the possibility that economic or other factors may force landowners to abandon or change the planned regrowth. This means that the carbon dioxide released through energy generation might not ever be removed from the air again. However, designating energy derived from the burning of biomass as carbon neutral is in line with the wishes of many in the industry. This ruling supports the sector’s calls for the deregulation of biomass carbon dioxide emissions, which would exempt the industry from some provisions in the Clean Air Act and could help make energy from biomass a competitive alternative to fossil fuels. Such an idea is not new. In 2016, as part of a larger bipartisan energy bill, a group of Senators tried to pass a similar change which would have recognized wood burning as carbon neutral. Additionally, a provision in the federal spending bill introduced in March of this year encouraged officials to “reflect the carbon-neutrality of forest bioenergy and recognize biomass as a renewable energy source.” Similar rules are already in place in the European Union where biomass generation accounted for 64% of total renewable generation in 2015. 1. Is biomass as an energy fuel carbon neutral? 2. Even if it is not entirely carbon neutral, is biomass generation preferable to fossil fuels? 3. Is it likely that increased biomass generation will decrease demand for other renewables? A blanket ruling that biomass as an energy fuel is (or isn’t) carbon neutral is not what we need. That kind of thinking is part of the problem, not the solution. In some cases biomass clearly is carbon neutral, in some it clearly isn’t. In others, the answer is murky. The EU policy that gives a blanket “carbon neutral” designation to energy from biomass has caused great ecological damage globally, without doing much — if anything — to help with atmospheric CO2. Clearing tropical rain forests for palm oil plantations diminishes the carbon reservoir of standing biomass as well as the soil carbon reservoir. Not to mention the destruction of habitat and loss of biodiversity. A very high price to pay for a nominally “carbon neutral” biofuel that isn’t really carbon neutral, but that *is* an easy thing to make money on. Clearly a bad thing for policy to incentivize. OTOH, there are clearly waste streams that can be converted to useful biofuels, and would otherwise just be burned or left to decay. Clearly good for policy to incentivize. Specific energy crops, grown in specific ways, can be beneficial. But one has to look at cases. China, Israel, and some African nations have had success with revitalizing deserts and degraded soils. Well managed grazing has been shown to improve grasslands and increase soil carbon. Those are positive developments. And there are energy crops that can be grown on marginal lands without competing with food crops. Fuel from those crops is carbon neutral. But the conditions under which they’re grown make them unattractive for industrial farming. Rather than sweeping pronouncements about what is or isn’t carbon neutral, policymakers need to focus on the institutional infrastructure for certification of particular cases. There’s plenty of good work that’s already been done, and guidelines for evaluating carbon footprints. However, it will take thoughtful policy crafting for an infrastructure resistant to gaming and regulatory capture. I think there’s enough potential in biofuels to justify the effort, but it won’t be easy. EPA’s blanket declaration of neutrality is undoubtedly considered a well-earned victory by the biomass energy and power sector. More likely, however, the ruling will serve as a rod around which the environmental community will rally its opposition for two basic reasons. First, in today’s hyper-partisan atmosphere the rule’s association with the Trump administration is enough to send the environmental community running to its lawyers. Second, and most importantly, the 800lb question in the room remains: Why legislate neutrality if you can prove it? It is a fair question but only if the biomass industry and environmentalists can agree on a fair process for answering it. The debate between the biomass energy and power industry and members of the environmental community has raged on for years. I use the word “debate” advisedly. Rather than a respectful and honest presentation of opposing points of view, what is occurring on the Internet, in the media, and on Capitol Hill is more akin to a series of insulting riffs. I know what I am but what are you? I can appreciate what motivates each of the sides. Industry feels that both their livelihoods and their integrity are being attacked. The environmentalists are attempting to protect a natural resource otherwise incapable of defending itself and which has already suffered at the hands of those who would exploit it. Biomass’ place in energy and environmental policy is important, and unfortunately, the barb-tossing way it is debated is enervating rather than enlightening. When we speak of biomass’ potential role in fighting climate change we are not simply speaking of either the forests or the trees. How the resource is managed determines whether biological systems either store or release CO2. The operative word here is MANAGE. Biomass is a ubiquitous resource that, when well-managed, holds the possibility of bestowing upon society and the planet a host of economic and environmental benefits. Yes, there is the potential to manage it poorly. More importantly, however, information about how to manage it wisely is available. I understand and respect efforts to prevent the pillage of precious resources. Inciting by invective rather than gaining insights through science, however, is not a productive path to follow. If a company is either burning or cutting whole living trees to produce power or to manufacture pellets for export, then let’s do something about that—not merely allow forests to lie fallow and take care of themselves. We know that climate change is negatively impacting the world’s forests. Drought, heat, disease, and swarms of insects are turning our forests into tinderboxes. Leaving forests to fend for themselves does not work. I no more agree with industry efforts to find by fiat that woody biomass is a carbon-neutral source of renewable and sustainable energy than I agree with the blanket effort to declare forests off limits to economic activity. Given the need to sequester CO2 and to rely on more than solar and wind as the underpinnings of a low-carbon energy economy, biomass could be an essential part of the world’s renewable energy portfolio—but only if it is given a fair hearing. Back in 2009, when I was in Senator Specter’s office, we were visited by an excellent spokesman for the logging industry, with a very well thought-out plan for generating electricity from forest scrub. Lots of that material gets converted to carbon dioxide directly in forest fires, and needs to be cleaned out anyway. Instead of burning it out as waste, why not get some electricity while doing so? One can do locally (without the huge transportation expense) by using high efficiency Stirling engine systems, which are objectively still very promising despite the fact that screwed up politics and personalities make such engines harder to find lately. Despite their many other fatal flaws, the final Waxman/Boxer climate bills had a nice rational accounting for the net benefits of various biomass technologies to CO2 emission. Despite these valid good points, I was not so encouraging to the guy. “Yes, your scrub is a good resource, but do you want to be in the business of selling green coal or the business of selling green oil? Hint: look at the market price per ton.” But back in those days, our office was supporting a bill which would have let him capture the full economic value of green oil. (Posted at http://www.werbos.com/oil.htm.) Since then, oil lobbies have chosen to shoot their sponsors in the foot by blocking something which would have been a boon to their industry and to the environment, forcing most of the world to electricity instead. Electricity is great, but I would have preferred a more competitive market giving us more of an optimal mix and stronger overall national security. Certainly there are better routes now towards low-cost renewable electricity, bounded more by the difficulties of getting approval for interregional transmission lines than anything else (though electricity prices are not an obstacle to the growth of electric transportation). Well, biomass has so many variables, I could argue this either way. So I believe this issue should be carved up and discussed in segments. For sewage, manures, poultry litters, food processing wastes, water treatment bio-solid wastes, contaminated grains — where the waste is centralized, and would biodegrade quickly to methane — converting to biomass energy is decidedly carbon neutral or net positive. Low-or-no transportation costs, low energy inputs, and offsetting fossil fuels OR the rapid release of pure methane, a much more potent (though shorter-lived) greenhouse gas is an important greenhouse gas remediation approach. Responsible thinning of forests, in accordance with solid forest management practices, removing no more than half the slash on the forest floor ( thus insuring continued nutrient flow to the forest), and utilizing energy efficient equipment — could also be carbon neutral. But if companies or localities haul such biomass more than 40 miles and use old, in-efficient equipment – that would tip the balance against neutrality. So here the answer is both “yes” and “no”. Removal of contaminated grains and other foodstocks, and stovers/bagasse that cannot be integrated back into the soil or used as animal feeds, is generally carbon neutral or positive. As for contaminated feedstocks which are either covered-in-place or burned, biomass energy is a far better environmental solution. For traditional energy crops – ie corn, sorghum, etc, can be positive if no-or-minimal fossil fertilizers or pesticides and low-energy tillage is utilized, can be net positive. Under standard farm practices meeting standard practices (not large industrial practices) most studies note carbon neutral or slightly positive. Industrial farming with high-energy equipment, high-fertilizer use and high pesticides, and long-shipping of produce (routinely by the largest farming operations), it cannot be carbon neutral. Designated biomass plantations, if using low-water, no-fertilizer, no pesticide, and low-energy equipment can be carbon neutral-or-positive —- whereas generally overseas, plantations for instance, of palm-oil is decidedly (in most cases) carbon positive even without harming rain-forests, which exacerbates the problems even more. Within US borders, if the United States would stick with rules on limiting pesticides use to limit over-utilization,. limit fossil fertilizers to protect water sheds and maintain soil tilth, and push for higher efficient vehicles of all types – blanket rules for biomass would be fine. But since the Administration is walking away from all these common sense regulations and goals — the blanket biomass rule addressing greenhouse gas emissions makes no sense. Rather, as I have done above, the rule should be segmented by “biomass types” and “existing practices”. I strongly encourage anyone interested in this issue to read an excellent multi-part report on the topic from Climate Central called Pulp Fiction.